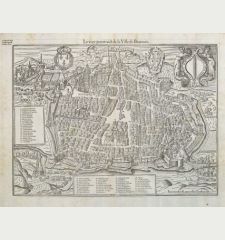 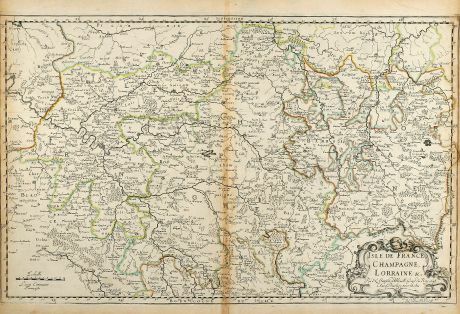 Antique map of the Champagne, Lorraine, Ile-de-France. 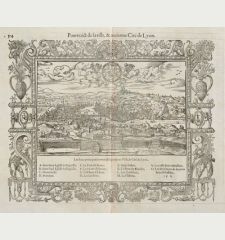 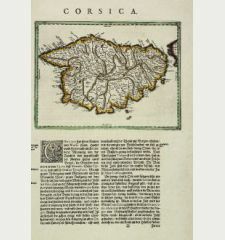 Printed in Paris by N. Sanson in 1648. 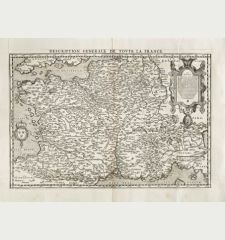 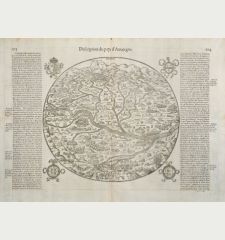 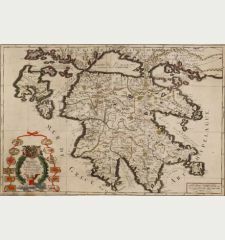 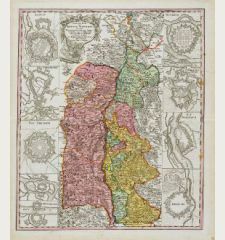 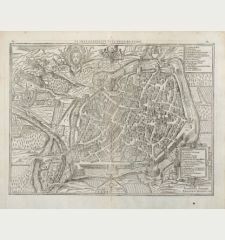 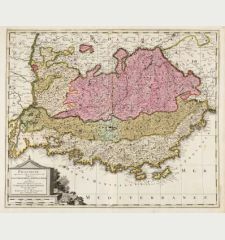 Copper engraved map of North France by N. Sanson. 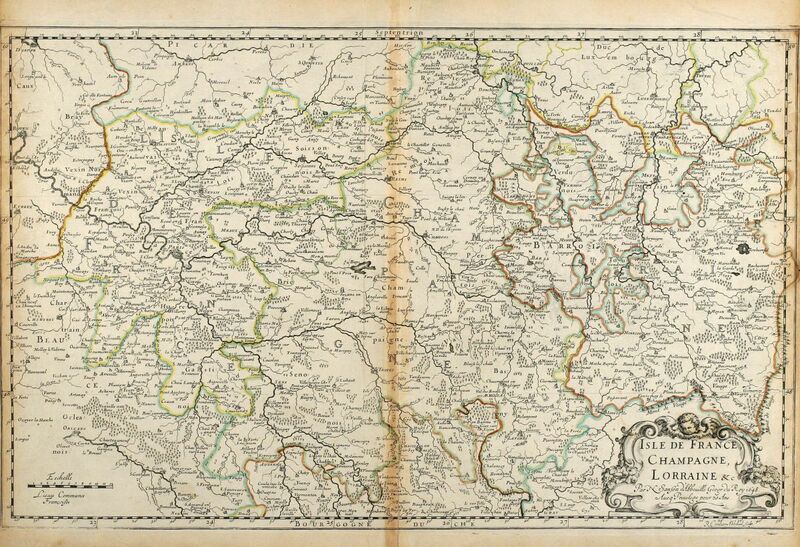 Covering the regions of Ile-de-France, Lorraine and Champagne with Paris, Metz and Nancy. 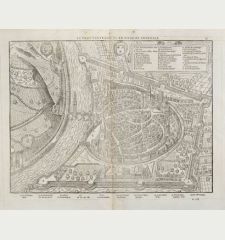 With a decorative figurative and allegoric cartouche. 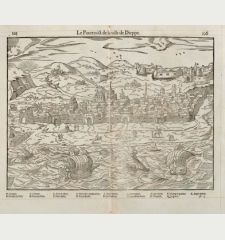 From "Cartes Générales de Toutes les Parties du Monde". 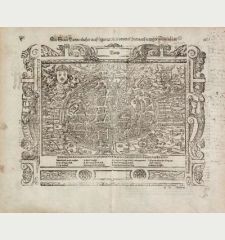 Dated 1648 in the plate. 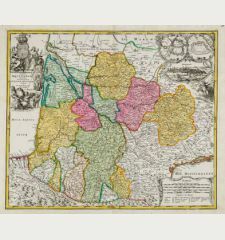 Some browning in centrefold and outer margin, lower part of centrefold backed. 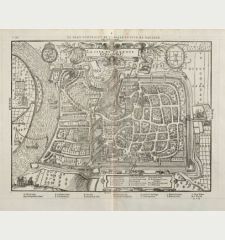 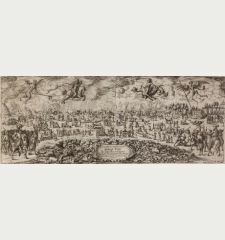 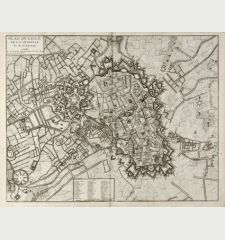 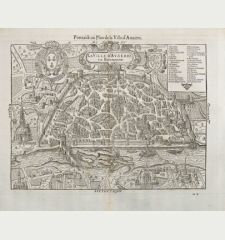 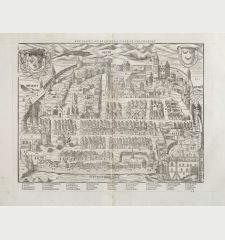 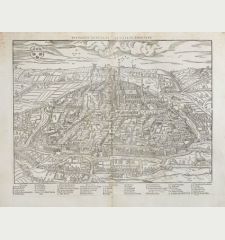 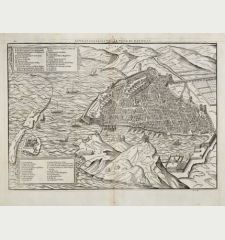 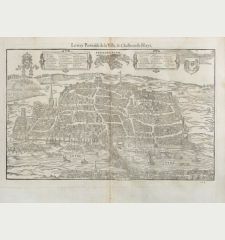 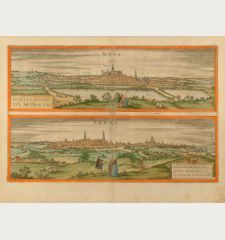 Nicolas Sanson, born 1600 in Abbeville, was a French historian and cartographer. 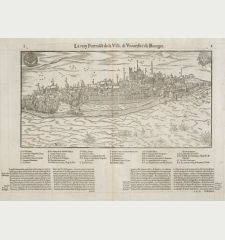 Louis XIII appointed him Géographe Ordinaire du Roi. 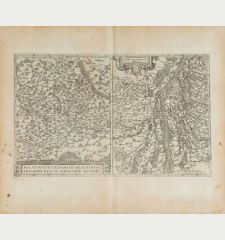 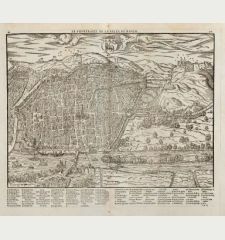 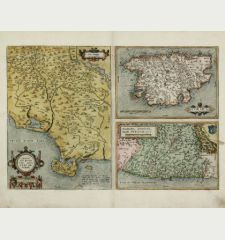 His main work, the Atlas Cartes Générales de Toutes les Parties du Monde, was issued first in 1654 until 1676. 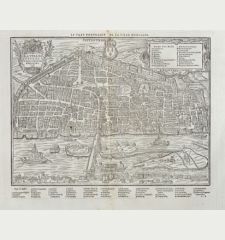 After his death in 1667, the business was continued by his sons Guillaume and Adrien in partnership with A. H. Jaillot. 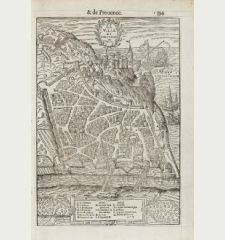 Nicolas Sanson: Isle de France, Champagne, Lorraine.